Getting started in Overwatch can be pretty daunting: there are so many heroes to learn, maps to memorize, and loot crates to open, that it’s hard to keep track of it all. But we have a few quick pointers that should help. Here are the things I wish I knew before jumping into Overwatch. Some characters are easier to pick up than others. For players already familiar with shooters, I’d go with Soldier 76, Pharah, D.VA or Bastion at first. These are characters who are primarily concerned with shooting whatever is in front of them; you don’t have to worry about about the nuances of your abilities or how to play the character as much as you might with other heroes. You can just jump in and hit the ground running, for the most part. For those of you who like being helpful, support characters who are easy to pick up include Mercy, Lucio, and Torbjörn. Mercy will click for anybody who has played Medic in TF2, as she has a similar healing beam. Lucio has a bit more versatility, in that he can swap between healing his teammates or speeding them up, his skates give him some good movement options, and his sonic amplifier is surprisingly effective for a healer. Finally, Torbjorn can build defensive turrets capable of keeping enemies at bay. Just put ‘em up and keep hammer away at them. It’s simple, but fun. Honestly, I’d suggest starting with support types before graduating onto more offensive characters, because support characters can contribute while keeping some distance from the action. This is a good way to familiarize yourself with map layout, and to safely observe how other characters play/interact with each other without having to repeatedly die over and over again. You are a part of a team, which is to say, your choice on who to play affects other people. Thankfully, Blizzard has a built-in tool that judges your pick the second you highlight someone. Don’t take these yellow notices to the right as suggestions. Make an active effort to balance your class choice relative to what others are going with. Wanna find the objective? Follow the line. This is not Call of Duty. You can’t just run around all by yourself and expect to rack up the kills, especially not when you’re starting out. The best way to stay alive is teamwork, so find some buddies and stick with them. Blizzard did a phenomenal job with the sound design in Overwatch, in that most of what you hear is mechanically useful to the player. Your character will gasp when you are low on health. Characters will also tell you when an enemy is behind you, or when there is a turret nearby, among other things. Heck, you can even hear enemy footsteps. The most important audio cues you need to learn are Ultimates. Whenever a character pops an Ultimate, they will typically yell something first. The second you hear an enemy say things like “IT’S HIGH NOON,” “NERF THIS,” “JUSTICE RAINS FROM ABOVE,” you should quickly get the hell out of there before you die. Other call outs aren’t deadly, but they’re still worth learning—like when Mercy says “Heroes never die” before reviving teammates. For a full list, check this post out. Having a good kill/death ratio is nice, but it won’t win you matches. You have to active capture points, move the payload, or defend against attackers if you want to play Overwatch the right way. This means resisting the urge to just camp, or to chase down an errant player who isn’t by the point, and so on. The routes your enemy can take to the point. Where the healthpacks are located. You might have favorite heroes, and that’s fine most of the time, but you will also experience matches where the only way you can progress is by countering specific characters. The best way to avoid getting stuck is to be familiar with everyone, at least on a basic level. That way, you can switch characters mid-match as needed. Versatility is your biggest asset in Overwatch, and in a typical match you should expect to change classes at least a few times depending on what you need to do. Plus, being able to play as everyone makes the game more fun—it’s harder to get bored when you have plenty of options, eh? Use the payload to your advantage! It’s possible to build turrets on the payload, or to ride it while shielding with, say, Reinhardt. The payload will also heal you, so stick close if you can. It’s also a good idea to build turrets near your objective, especially around corners, where the enemy can’t easily see or destroy your handiwork. Sensitivity is the obvious thing here, but for those of you on console, you may also want to reconsider remapping your jump button so that you can move, jump, and aim all at the same time. Because jump starts out bound to the X button, you actually have to stop aiming in order to leap, which may not be ideal for quick reactions. 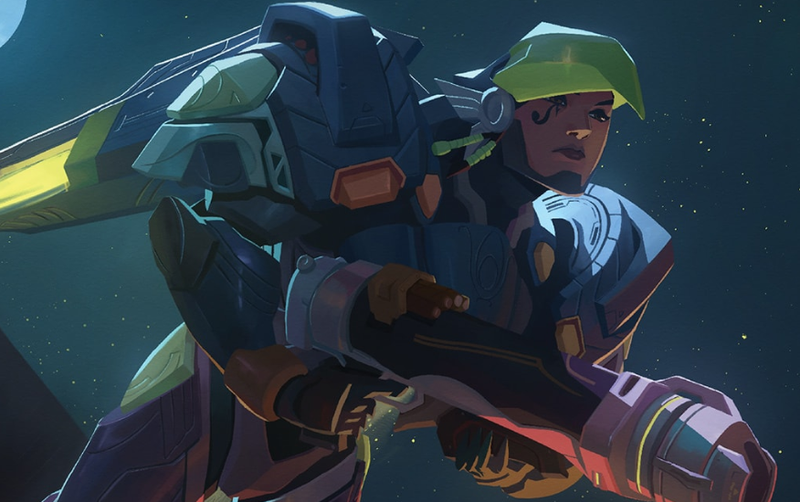 Overwatch doesn’t really tell you this, but yes, headshots do more damage than bodyshots. If there is a Mercy, Lucio, or what have you on the other team, make sure to target them first before they buff/heal your enemies too much. A good support can make it impossible for your team to mount a successful attack. It’s way easier to play as a team (and win) when you can coordinate with other players. And while Overwatch is friendlier than other games, there’s no replacement for playing with a pal. Actually, the game gives you a small XP boost for playing with your friends, so make sure to send out those invites. One of the best parts about Overwatch is customizing everything, from your skin to your spraypaint to your emotes. Any time your hero gallery says you’ve got something new, check it out, see if you like the loot. Plastering the walls with your mark before a match starts, or doing an emote after a devastating play, are worth are totally worth it. Do you have any good tips for people starting Overwatch for the first time? Feel free to share in the comments!